With less than 90 days until the general election, Paul Manafort resigned from the Donald Trump campaign on Aug. 19. 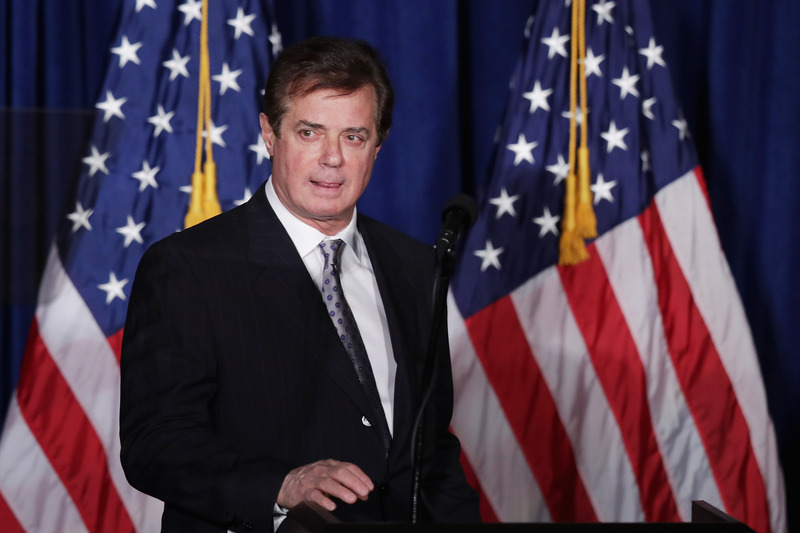 Manafort had been serving as Trump's campaign chairman, but had recently been questioned about his potential involvement in undisclosed foreign lobbying, Associated Press reported. The news of Manafort's resignation broke around 10 a.m. ET on Friday, Aug. 19. Earlier that same week, Trump's campaign underwent major restructuring when he hired Stephen Bannon of Breitbart to be his campaign CEO and Kellyanne Conway, a veteran pollster and strategist, to serve as his campaign manager. Although Manafort maintained his title as campaign chairman, hiring two new people to join the campaign as top advisers made it clear that the Trump camp was slowly but surely trying to sideline Manafort. But Manafort's true demise came on Aug. 17 when AP reported that he had ties to foreign lobbying. Specifically, Manafort reportedly "helped a pro-Russian governing party in Ukraine secretly route at least $2.2 million in payments to two prominent Washington lobbying firms in 2012," according to AP. Not a great look for a U.S. presidential nominee's campaign chairman. It also drew unwanted attention to Trump's already controversial relationship with Russian President Vladmir Putin. But, more than that, it put Manafort's questionable business practices in the national spotlight, which ultimately encouraged people to look at the Trump campaign more closely. Manafort had close ties to Ukraine's Viktor Yanukovych as late as May 2016, The New York Times reported. Apparently, Manafort served as a consultant to Ukraine's ruling political party, specifically for Yanukovych, similar to his previous role in the Trump campaign. While in Kiev, the capital of Ukraine, The New York Times found that government investigators discovered traces of Manafort's name throughout years of "secret records." Moreover, they also reportedly found Ukranian companies Manafort reached out to for business deals. This was all in an attempt to "untangle a corrupt network" these investigators argued was instrumental in influencing the Ukranian political elections during Yanukovych's administration — much like Manafort hoped to do with the U.S. elections via his work at the Trump campaign. Trump released an official statement commenting on Manafort's resignation, which, according to the statement, Manafort offered and Trump accepted. "Paul is a true professional and I wish him the greatest success," Trump wrote in the statement. I have to say it's not too surprising that Manafort is resigning after Trump's major campaign hires, in which he clearly tried to replace Manafort with Conway, as well as after the news of Manafort's questionable business ties to Ukraine. It looks like the Trump campaign madness isn't over yet, and Manafort's resignation just adds to the unfortunate series of events plaguing this presidential campaign.